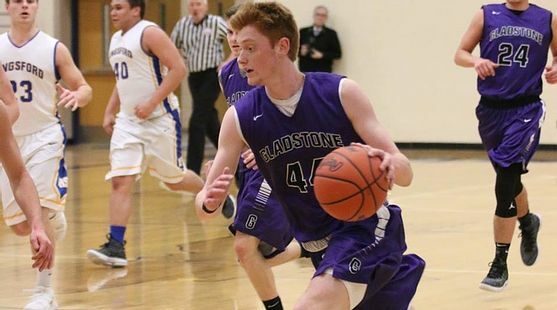 GLADSTONE---Gladstone High School senior Reece Castor has committed to attend school and play basketball at Northern Michigan University next fall. Castor is a three-year starter for the Braves, and was an All-U.P. selection last year. Castor made his announcement Wednesday aftenoon on social media. He had been recruited by several other universities, including Michigan Tech. Castor has already played at a high level as a member of the Greenwood Elite AAU team based in downstate Flint this past summer. With the Braves in his junior year, Castor, a 6-5 point guard, led the way, averaging 20.9 points, 6.5 rebounds and 3.9 assists. Castor has already passed the 1,000 point mark with one year left in his high school career. First off I wanna thank God for blessing me with all of the opportunities I’ve had up to this point in my life. I also wanna thank my family for helping and supporting me through this long process. I wouldn’t be where I am today without all of the sacrifices they made for me and words cannot express how thankful I am to have them in my life.